The best that can be said about Britain’s treatment of the Gurkhas during the last 200 years the regiment has fought and died for the country, is that we treat our own soldiers barely any better (I think if civilians knew how little soldiers are paid and properly understood the sub-standard treatment they receive, there would be a public outcry. At least, I hope there would be). Last year, the government announced that all Gurkhas retiring after 1997 would get a full army pension and all soldiers still serving after this time would be granted residence visas for the UK (1997 seeing the transfer of the regimental HQ from Hong Kong to Folkestone following the handover of the colony to China). Gurkha’s retiring before 1997 have no right to settle in the UK and receive only 1/6th of the standard army pension. On Tuesday, the high court hears a test case brought by ex-Gurkhas attempting to secure equal rights for veterans retiring before the 1997 cut-off. The verdict has implications for around 2000 ex-Gurkha’s – many sick from injuries picked up on the battlefield – and their families. 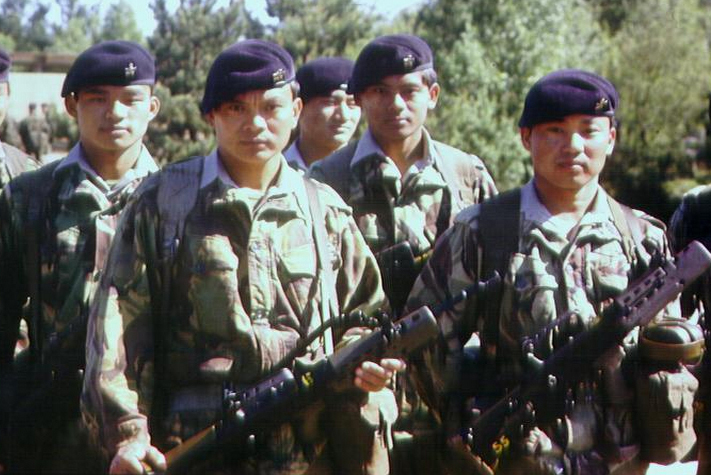 The Home Office rationale for denying residency to ex-Gurkhas retiring before 1997 states that as the regiment was not based in the UK until after this date, such soldiers cannot “demonstrate strong ties to the United Kingdom”. The Gurkha regiment has won more Victoria Crosses than any other in the British army. As with all British soldiers, Gurkhas swear an oath of allegiance to Queen and country upon joining, and the regiment lost 45,000 men in the two world wars. Much to the chagrin of Serb nationalist paramilitaries and Al Qaeda, they’ve recently served in the Balkans, Iraq and Afghanistan. So that’s “unable to demonstrate strong ties to the United Kingdom”. Demonstrate your strong objection to the line taken by Her Majesty’s government by signing the petition for equal rights for all Gurkhas.